Vietnam Red Cross on July 14 received a collection of prized stone pictures made by Hong Ha Company’s handicapped children, worth VND1 billion (US$50,000). 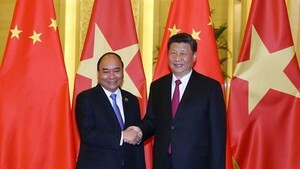 The collection named “Dong mau Lac Hong” (Lac Hong Bloodline) includes iconic Vietnamese images including late President Ho Chi Minh, Ha Long Bay, Guom Lake, Van Mieu – Quoc Tu Giam (Temple of Literature) and One-pillar Pagoda. 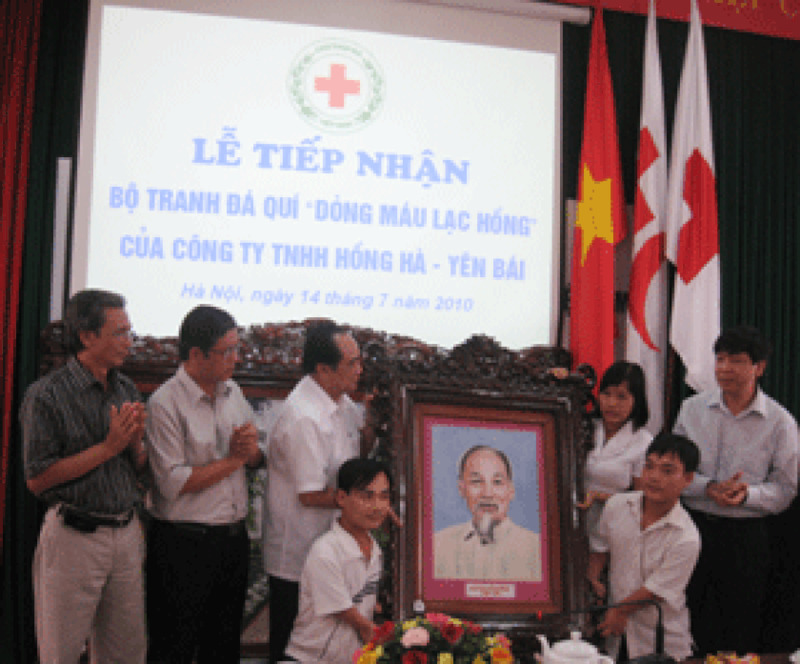 The Vietnamese Red Cross received the pictures in honor of the 1,000th anniversary of Thang Long – Hanoi. The skillfully constructed pictures are made of different types of precious stone and are set in picture frames made of valuable wood. The Vietnam Red Cross will display the collection at Vietnam Culture and Art Exhibition Center on the occasion of 1,000th Thang Long – Hanoi. The collection will be auctioned off to raises funds for the poor.